Rachel Cross is an internationally traveled and trained artist, specializing in uniquely vivid and striking oil pastel paintings, as well as emotionally austere watercolor paintings. 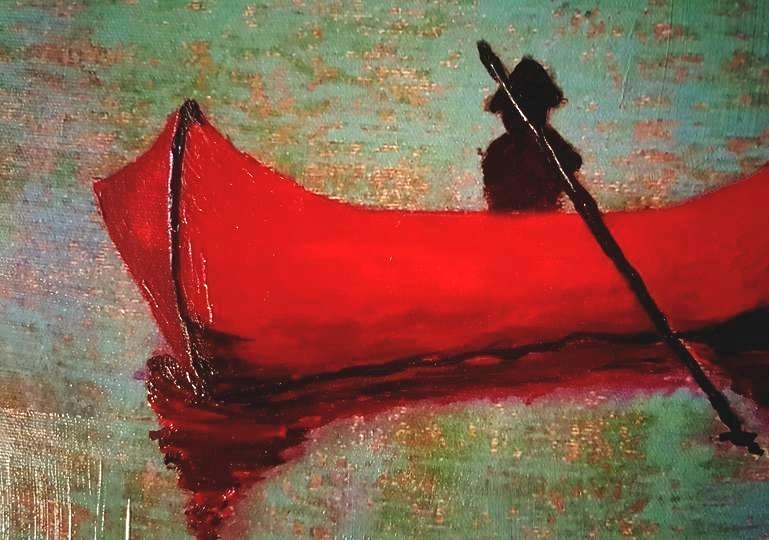 Rachel's oil pastel painting, "Red Boat", started gaining international recognition after it was hosted in Peter Doig's 2014 collection. A previous collection of Peter's, set a world record for the highest price paid to a living artist (11 million at auction) for his painting, White Canoe . Since then "Red Boat" has been discovered by an international publishing company. They featured Rachel's painting as the cover of the German edition of the novel LaRose, by award winning American novelist Louise Erdrich. The German version released in Austria & Germany on October 17th 2016. 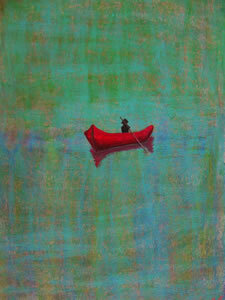 Only 5 Red Boat Limited Edition Prints Left $800 ea. Each year the price is increased incrementally. Currently $800. #15 was sold recently so there are only 5 more available this year. by adding hand brushed texture to the print.